If you are looking to continue your outback adventure from Uluru on to Darwin, this is the tour is for you. Our Alice Springs To Darwin Tours gets you from Alice Springs To Darwin in just two days, all while stopping at must-see destinations along the way. Not only will you be able to see unique destinations, you will have fantastic photo opportunities at every stop to show the diverse and incredible landscapes of Australia. Departing early in the morning you will head north up the Stuart Highway to Karlu Karlu (The Devils Marbles). 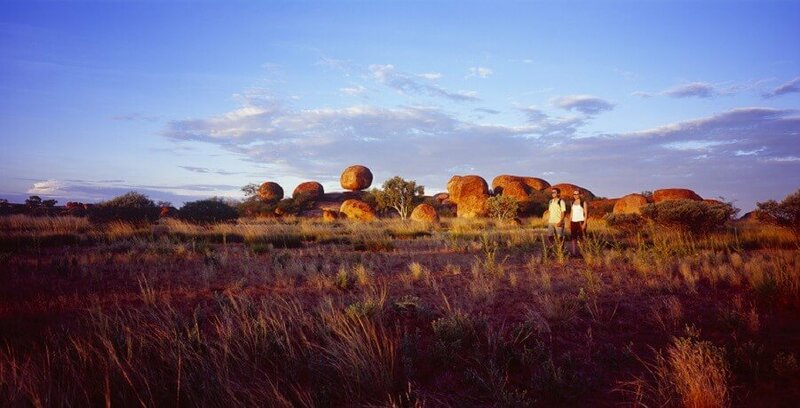 This is an amazing a sacred aboriginal site unique for its naturally formed boulders. You will have time to explore, listen to Dreamtime stories about the local area and take lots of photos. The tour then continues on to the historic Daly Waters Pub for a free meal and your overnight stay in Dorm Accommodation. 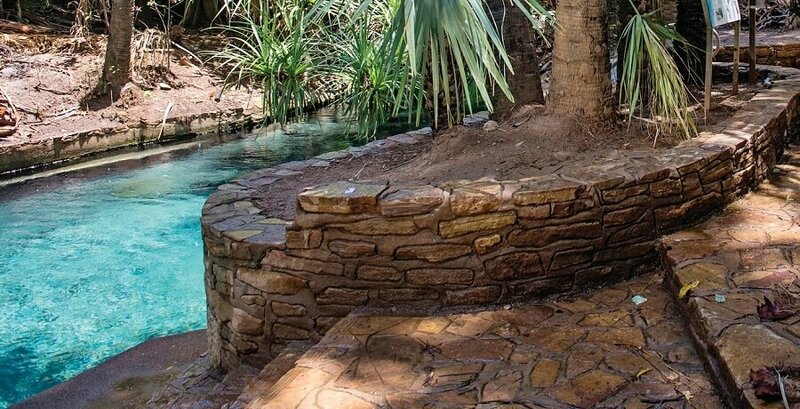 Another early start you will continue north and on to the beautiful Mataranka Thermal Springs for a relaxing swim. 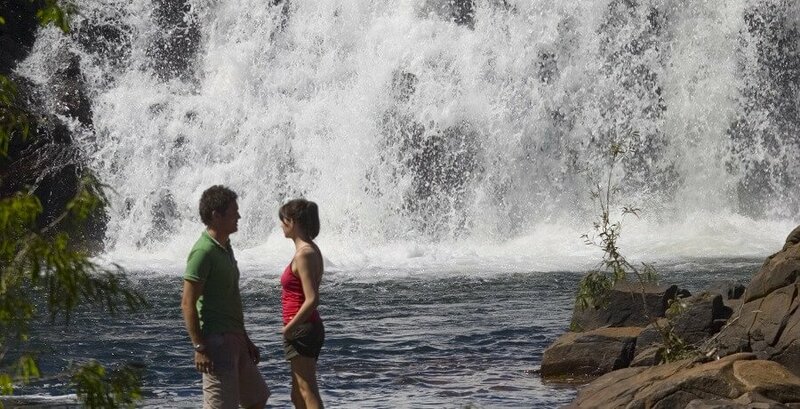 After building your appetite with a swim, we make a quick stop at Katherine for lunch and then continue on to Edith Falls where you will can do a short hike to the top pools and have another relaxing swim. Following this, we then make our way to Darwin and will drop you off at your accommodation around 5pm. If you are wanting to make new friends, see incredible natural beauty, and learn about the culture and history of the region, the Alice Springs To Darwin Tour is for you. To take advantage of this incredible tour, book now. 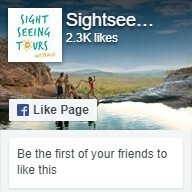 Why not check out our other Darwin Tours?